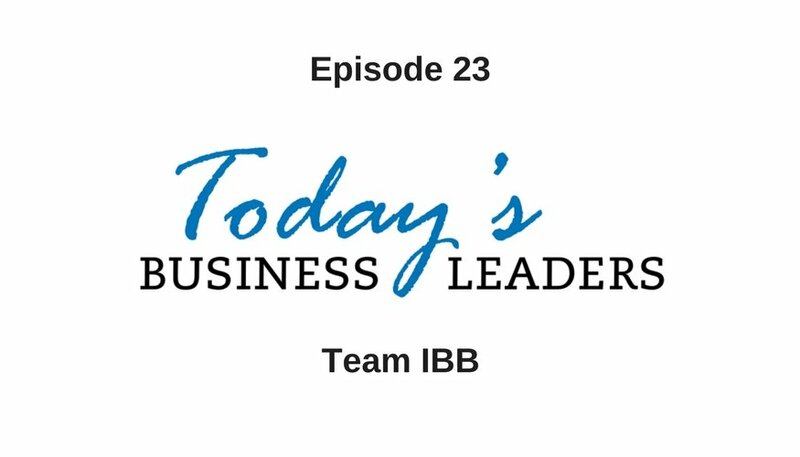 Gary and James of Team IBB make their second appearance on Today’s Business Leaders for more fun, good conversation and actionable advice. Listen to their first appearance on the show and check out the rest of the episodes to pick up more tips and inspiring entrepreneurial stories. James never intended to become an entrepreneur, but he got his start while working to promote his band and selling tickets to shows. He learned that to be successful, it is necessary to be passionate about what he is selling. Later, his education set him on the course to become an entrepreneur, and when he met Gary through a mutual friend, things began to fall into place. Every individual has different strengths and weaknesses, and a well-structured team gives members the chance to do the things they are good at. As Team IBB has grown and Gary and James have expanded the company, they make certain to allow each team member to become experts in what they do. Having a dedicated professional enables the company as a whole to deliver the best service possible to their clients. In addition to successful entrepreneur, James can also add published author to his list of accomplishments. His book, It All Starts with a Plan, is available now and shares his experiences regarding business, entrepreneurship, and family. The title is borrowed from an expression favored by his grandfather which James found inspiring. This backstory made it an excellent fit for a book intended to help inspire readers to reach their goals. Taking the expected route may offer a degree of safety, as well as comfort from knowing you are utilizing a well-traveled path. However, breaking out to do our own thing can deliver significant results. Doing something different from the rest of your industry distinguishes your company and your brand. Reach out to Gary or connect on Facebook to learn more about Team IBB. Find out more about Gabe’s company, Business Marketing Engine, as well as the solutions available to help entrepreneurs.